Hello everyone! How was your weekend? So I was bridesmaid for my lovely friend Mimi's wedding two weekends ago which also happen to be the day where alot of other couples got married. Yup, it was 101010. Such an auspicious date don't you think? Not to mention it's so easy to remember that they'll not have any excuse to forget their anniversary every year. Haha. Anyway, the day started really early and lasted until late at night. Slightly exhausting but we had so much fun 'torturing' the groom's brothers and camwhoring all throughout the day. Here's what I wore for the dinner at night. Full shot of outfit here with my friends who were also bridesmaids (excuse the messy floor!). Pure coincidence that we were all in black. 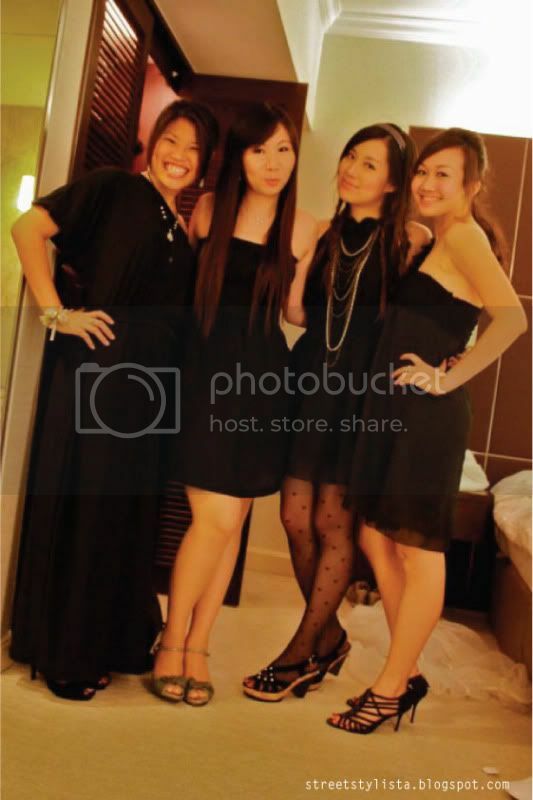 We had a mixture of blacks and florals among the bridesmaids that day. Totally random shot but I was kinda amazed at how I couldn't figure out what colour the nailpolish is exactly. Quick story. I had a bottle of a pastel green/blue (I think) colour which turned out to be really thin/diluted (cheap nailpolish) so I ended up mixing it with black to see what it would become. This was what I got. It looked grey upon immediate application, then alittle later, grey-green and the next day I thought it looked blue-grey. Confusing but I like it. You all look fabbbbulous!!! 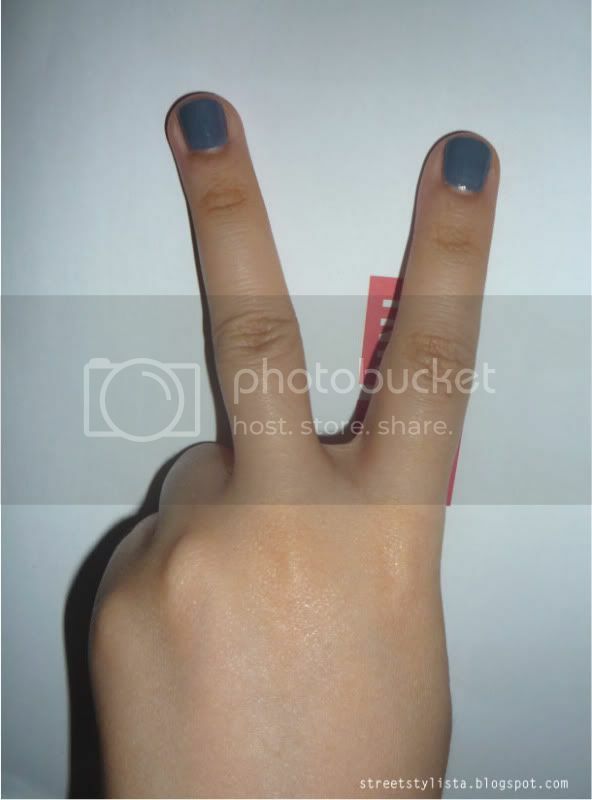 Love that nail color too..you could always call it slate (like that grey-ish blue color)...perf for Fall!!! !